The Ohio SHRM State Council is proud to announce the launch of its new HR Advocacy Center resource. "We are excited about our partnership with voterVOICE. Their dedication and long-standing work in the state association space for communications and grassroots advocacy is a rare combination of strengths that we think will provide many benefits for our group and many of its members." It is extremely easy to navigate. Optimized for mobile audiences and those interacting with Ohio SHRM State Council via Twitter and other social media, the tools provide a way for the Council to reach local chapter members where they are and how they prefer. Try out the tools today to JOIN, ACT and LEARN. 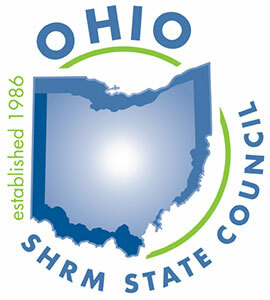 Find it under the "Actions" link at the top of this page OR from the home page of the Ohio SHRM State Council website. We welcome your feedback and look forward to more dialogue with you in the months to come.